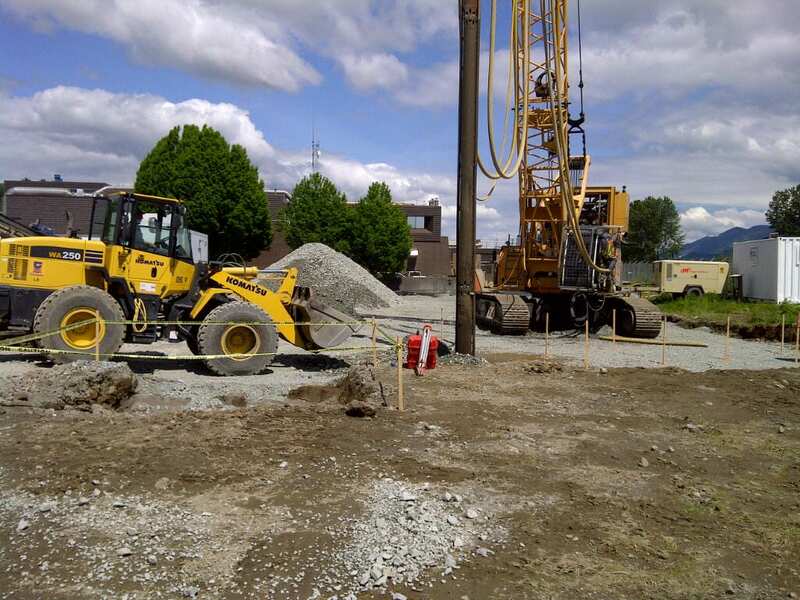 The City of Abbotsford is constructing a new unitized sub-station transformer at the Joint Abbotsford Mission Environmental Systems (JAMES) Wastewater Treatment Plant, located on the south bank of the Fraser River in Abbotsford, BC. The proposed sub-station structures will be founded on a single structural raft/mat slab covering an area of 290 m2, and will be designed to post-disaster importance standards to power critical loads for the JAMES plant. Ground response analyses confirm that the site soils have a high risk of liquefaction under the 2,475-year ground motions resulting in permanent lateral and vertical ground displacements. 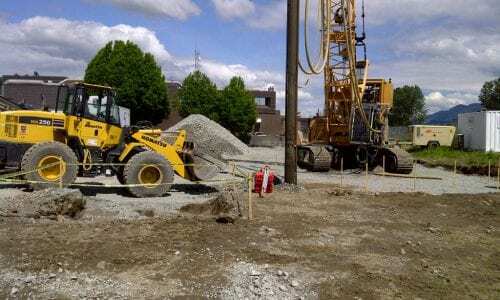 In order to mitigate the effects of soil liquefaction and reduce estimated total displacements by +/- 85%, ground improvement was required to a depth of 25 m below ground surface. Vibro Replacement stone columns were installed using wet top-feed methods beneath and over a 5 m peripheral zone around the foundation footprint. 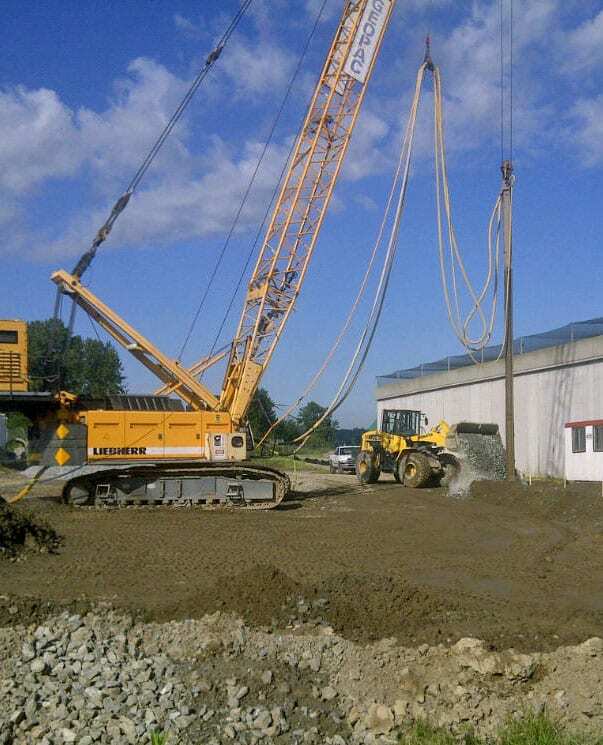 Vibro stone column installation was carried out within 2 m of an adjacent underground powerline supplying energy to critical JAMES plant utilities. CPT testing confirmed the densification program achieved the required minimum cone tip resistance performance specification.